Episode 6×05 “Deathstroke Returns” — Slade (guest star Manu Bennett) returns and asks Oliver (Stephen Amell) for help in tracking down his son. When they learn Joe (guest star William Franklyn-Miller) has been taken hostage by mercenaries, their mission to save him gets complicated by a terrible revelation that could shatter Slade’s hopes of reunion forever. Meanwhile, Vigilante reappears in Star City. Joel Novoa directed the episode written by Ben Sokolowski & Spiro Skentzos. Air Date: Thursday, November 9 (9:00-10:00 p.m. ET) on the CW. 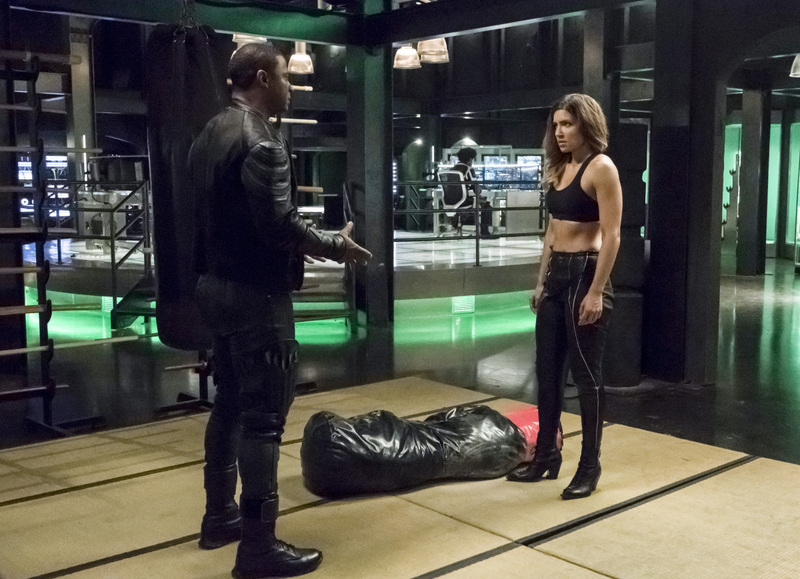 Arrow -- "Deathstroke Returns" -- Image AR605a_0018b.jpg -- Pictured (L-R): David Ramsey as John Diggle and Juliana Harkavy as Dinah Drake -- Photo: Jeff Weddell/The CW -- ÃÂ© 2017 The CW Network, LLC. All Rights Reserved.